It’s Monday morning and I’m a little on the exhausted side. Father’s Day was great, but crazy partying comes at an expense to my beauty sleep. You see, my husband and I had to have margaritas last night. I knew at the time it wasn’t going to feel good this morning. I knew it. But I went ahead anyway. And I know that my past self isn’t sorry, and my future self won’t be either. But man, my present self is a little ticked off. On the plus side, we made it through the holiday with a minimum of our usual string of disasters, with the exception of my son getting sick once again. What is it with my child? Does he enjoy curling up on the couch with his stuffed animals and conking out? Actually, that sounds pretty good right about now. Or anytime, really. Morning after woes aside, this strawberry cream pie reminds me of why I love this time of year. Dads have it best. 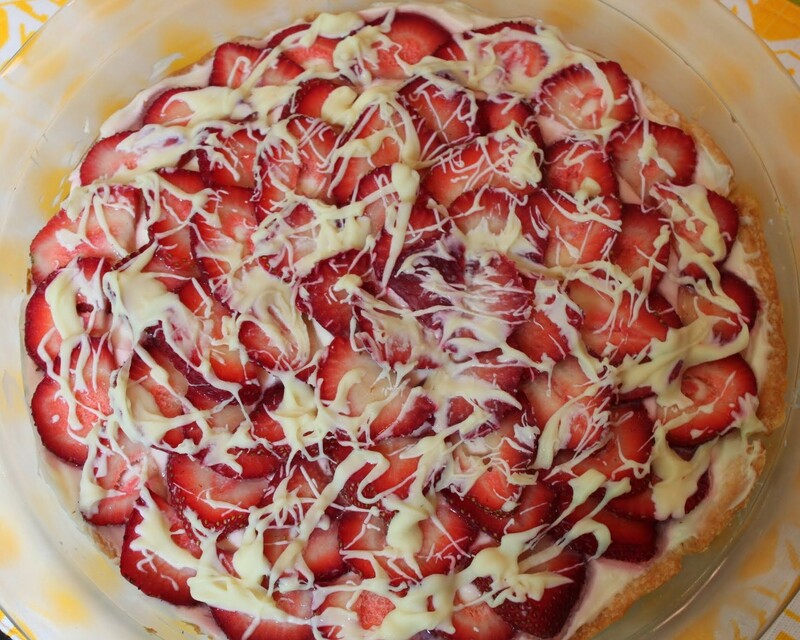 They always get mid-June for Father’s Day, when fruits are at their peak and you can make delicious desserts like this. Moms get May, which isn’t nearly as nice. I guess it’s better than February. But this pie would actually work really well on Mother’s Day, too. Or any holiday! To be honest, I made this for my colleague’s birthday, not for Father’s Day. And I really wanted to take a picture of a slice, all dripping with delicious filling. 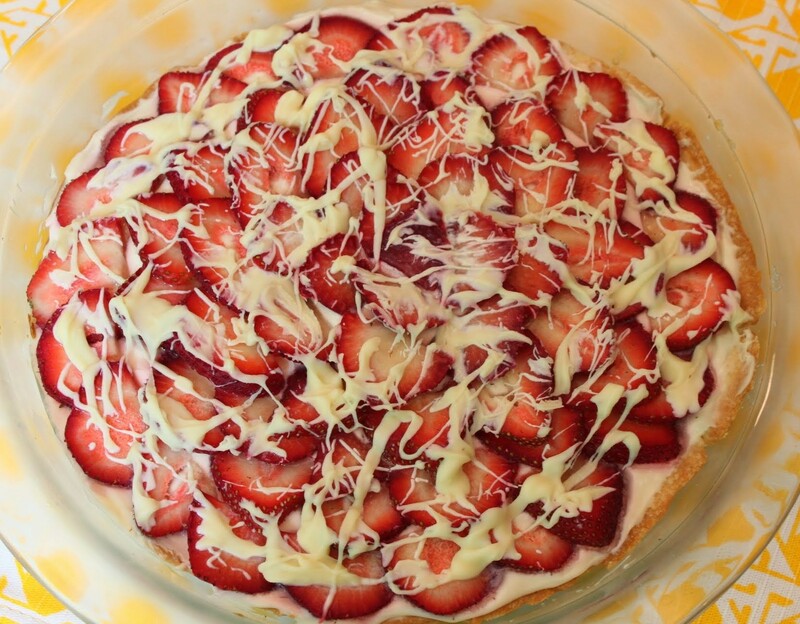 Because there is an amazing creamy layer underneath those strawberries composed mainly of…wait for it…cream cheese. And heavy cream. Hel-lo! But I literally turned around to take care of something and when I came back to my office, the pie was gonesies. Totally and completely obliterated. I never even got to try a slice! Though everyone told me that it was super amazing and I know they’re telling the truth. I work with teachers. We’re brutal. It’s a pretty easy pie to make and it looks beautiful. 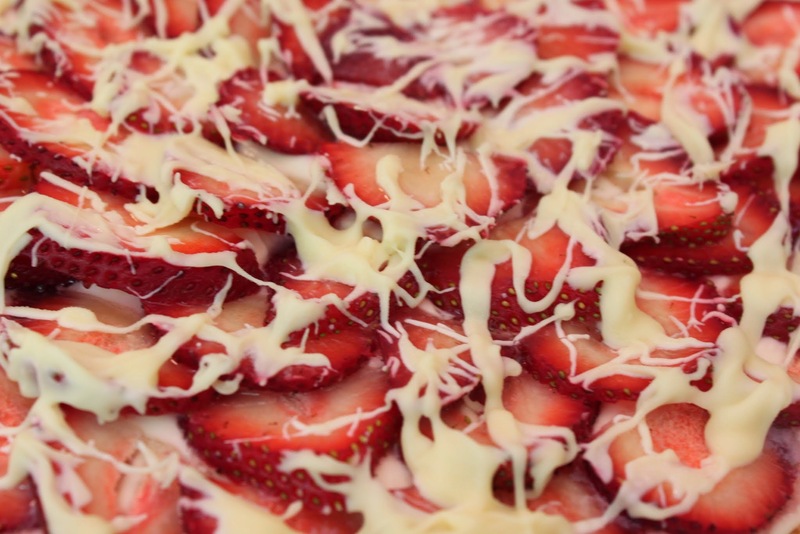 Don’t forget to melt the white chocolate on the crust and drizzle more on top! It adds a certain panache. Okay, I’m gonna go get a Tylenol. My evening ended with a mild head injury after the margaritas. Stupid car door. But hey, enjoy the pie! Don’t eat it all while I’m gone. Preheat the oven to 425 degrees. Grease a pie plate with cooking spray. Press the pie crust onto the pie plate, working the pastry up the sides. Bake for 12-14 minutes until golden. Sprinkle half of the white chocolate chips on the crust. After two minutes, spread the melted chips all over the crust. Put the crust in the refrigerator to allow the white chocolate to harden for about 20 minutes. In the bowl of a stand mixer, beat the cream cheese, heavy cream and vanilla until the mixture is smooth. Slowly add the powdered sugar, beating after each addition, until all the powdered sugar is mixed in. Spoon the filling into the crust, smoothing it out evenly. 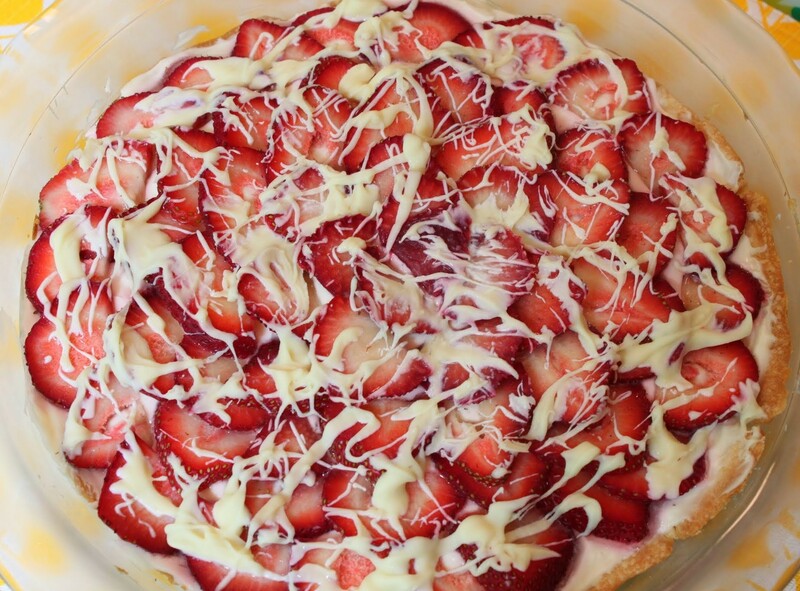 Arrange the sliced strawberries in a pattern over the filling. Take the remaining white chocolate and heat it in the microwave until melted, about one minute. 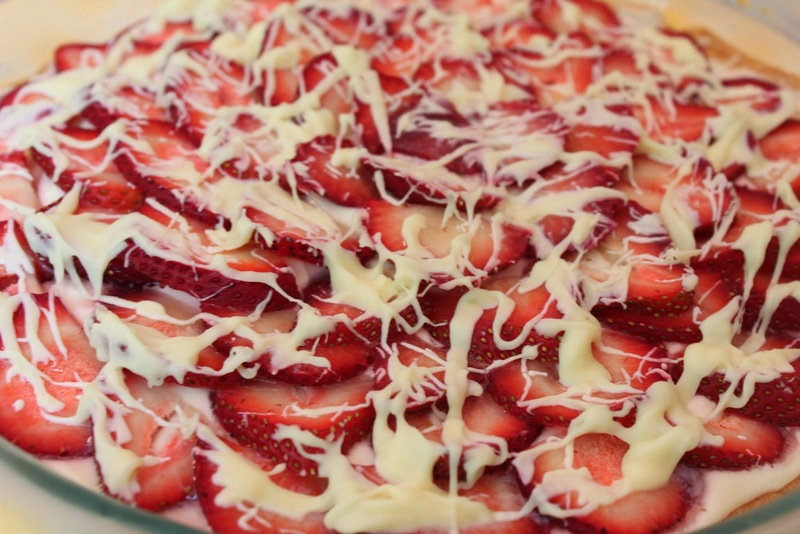 Stir and then immediately drizzle the white chocolate over the strawberries. Chill the pie for anywhere from three hours to overnight. Serve cold, and keep it covered in the refrigerator when not serving. There’s a bakery chain in the DC area called Firehook. They sell a lot of good stuff, to put it mildly. I used to pop in for soothing cups of tea and baked goods on long cold walks from my condo to grad school. I was not a fan of grad school, and it seems like sugar always helped me out with that. In those long-ago days, I pretty much always hoped to find a big chocolate chip cookie behind the glass cases at Firehook. They were good. And don’t get me wrong. I still love those big cookies! But one day, I saw a big bar wrapped in plastic. 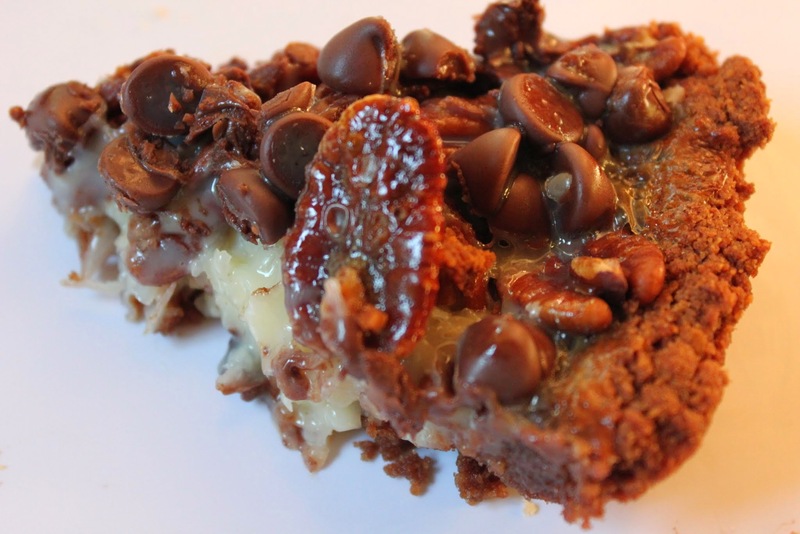 It was called a seven-layer bar, and I’d never heard of that before. Don’t think I’m oblivious. It was like thirteen years ago! When I tried the bar, I couldn’t believe all the fun packed into that one square! Coconuts and pecans and chocolate chips, all atop a fantastic graham cracker crust. I later learned that this concoction is also known as a Hello Dolly or a Magic Bar, and you know, I preferred the latter name. Those bars taste like magic! 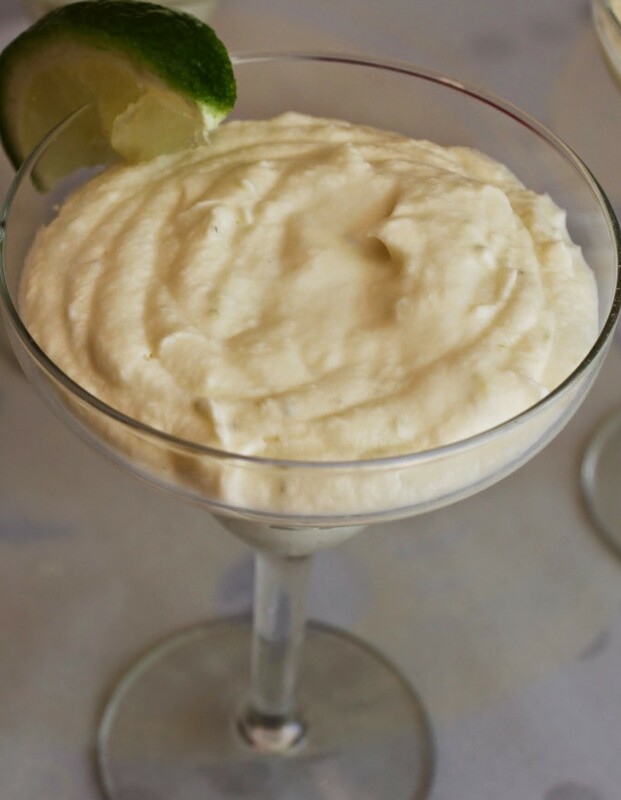 Who doesn’t love a holiday where the primary food groups are salsa and margaritas? Nothing screams Cinco de Mayo more than lime. Or key lime. So I’m doing it up today with this mousse! As it turns out, key lime isn’t just about pie. This is a beautiful pie, and I bet it tastes even better! Fresh strawberry pie is the best! Thanks! I agree with you. Fresh fruit makes the best dessert this time of year! Mine too, for sure! Especially when there’s white chocolate involved! Thanks! Fresh fruit is the best!